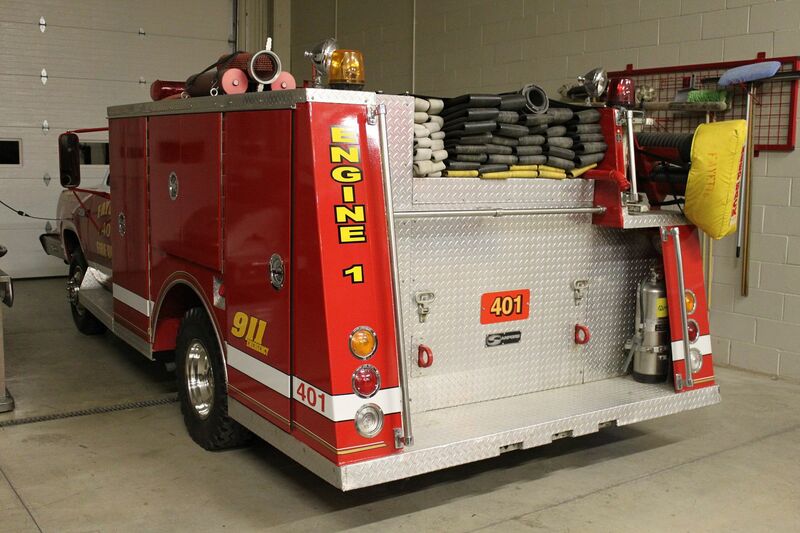 Fayette purchased Engine 401 in 1980. 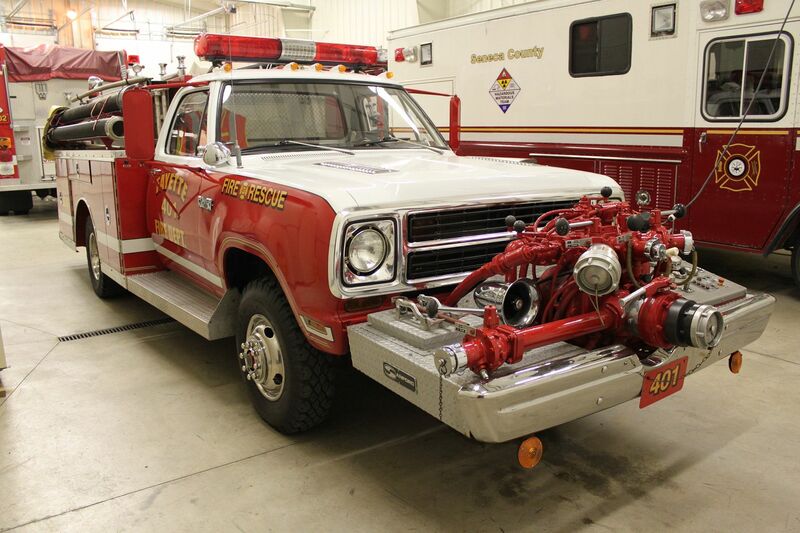 It is a Sanford mini-pumper built on a Dodge chassis. Pump – 750GPM pump driven directly off the engine. Capable of pump-n-drive. Drivetrain – 4wd w/ dually rear axle.